University of Maine System Chancellor James Page. BANGOR, Maine — The University of Maine System appears to have significantly reduced its projected budget deficit through job cuts and restructuring efforts over the last year, but the work of securing its financial future is far from done, system officials said Monday. In late 2014, UMS financial officials warned that the seven-university system could face a $90 million deficit by fiscal year 2020. That sparked a wave of system-wide changes, the most controversial of which occurred at the University of Southern Maine, which cut faculty and programs in an effort to resolve its financial problems. “With the work we’ve done so far, we’ve been able to lower that gap by $37 million since this was first reported last November,” Ryan Low, the system’s chief financial officer, told the UMS board of trustees on Monday during the second day of its two-day meeting at the Presque Isle campus. With the deficit now projected to be about $53 million — a reduction of about 40 percent — Low said the system will continue to work to shrink the gap to zero by fiscal year 2019. Specifically, it will continue to work toward goals outlined in its One University Initiative, including a unified budget in which the system allocates funding to each of the seven campuses, academic program restructuring, and a single accreditation for the entire system, among other changes aimed at helping the system achieve a stronger financial footing. Change has been constant in the past year. The system’s campuses and main office have cut faculty and programs, shed excess properties, consolidated offices, among other major financial management and leadership changes. USM eliminated 51 faculty positions and five programs during the past year, while accepting early retirements and resignations from dozens of other faculty and staff, as part of an effort to offset a $16 million budget shortfall for the coming fiscal year. In all, the system reduced its compensation costs by $21 million. To cut those costs, the system and its campuses cut nearly 200 positions. “I do not want to lose sight of the human cost of this work that has to go on,” Chancellor James Page told the trustees. The system was helped by a bump in the state’s higher education appropropriation, as well as an increase in the number of higher-tuition-paying out-of-state students on several of its campuses. But system officials cautioned that a significant financial challenge still exists and more significant changes are likely to affect campuses and the system as a whole as the effort to eliminate the structural gap continues. Meanwhile, anxiety is building on campuses, where faculty and staff are concerned about what the academic program review process will mean for their respective universities and programs. Howard Segal, a history professor at the University of Maine and faculty senate member, said there is growing concern among faculty members as to what academic restructuring and “mission differentiated campuses” will mean for programs such as history, liberal arts and science programs that are provided at multiple campuses. “That makes all of us extremely uneasy,” Segal said. 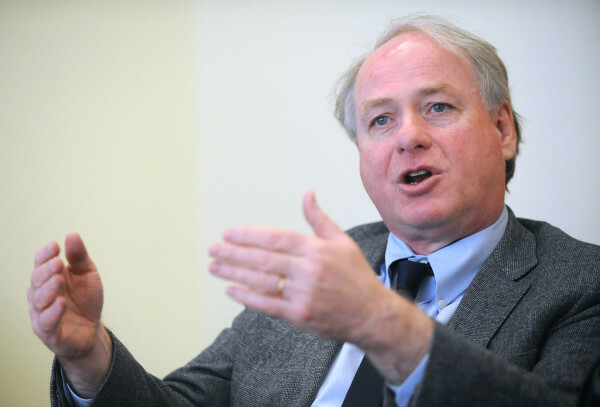 Ronald Mosley, a professor at the University of Maine at Machias and president of the Associated Faculties of the Universities of Maine, echoed those concerns when he spoke to trustees at Monday’s meeting. “What will this look like when it’s completed, particularly with faculty voice in the matters of course requirements and degree requirements?” he asked. He said “hiccups” in centralizing functions such as human resources and information technologies within the system leave him concerned about how changes will be implemented. Segal said he and fellow faculty members also have concerns about what the changes might mean for the University of Maine’s identity as the system’s flagship campus, and urged the system to be as open as possible about the changes that are coming. System officials have argued that One University will allow each university to focus on its strengths and reduce the amount of duplication across the system. In other business Monday, Page and John Rebar, executive director of the UMaine Cooperative Extension, an organization that works with farmers and fishers to research and promote Maine agriculture and aquaculture, unveiled plans to rebrand and offer new support for the Maine Agricultural Center. The Maine Agricultural Center was launched in 1999 at the flagship campus in Orono. That center will be renamed the Maine Food and Agriculture Center, and take on an expanded role, working with each of the system’s campuses to coordinate food-focused programs have a larger statewide influence. The center also will serve as a partner in the system’s effort to find a food service provider that will be best able to meet the system’s pledge to buy 20 percent of its food locally by 2020. Page also urged trustees to support his proposal of pumping $200,000 spread over two years into the center to help it pursue its goals of growing Maine’s agricultural and aquacultural economies. System trustees also approved a compensation and benefit agreement for “management group” employees not represented by unions. There are 65 people within the system that fall into that category, primarily from the university dean level and up. The group includes university presidents, who have had high turnover rates in recent years, and higher-level officials within the system office. Under the agreement, those employees could get a $750 one-time payment based on performance, and the system would set aside a pool of money equal to 2 percent of those 65 employees’ salaries. That pool would amount to about $181,000, according to UMS. The performance money would go into a discretionary fund, which campus presidents or the chancellor could draw from next summer, to provide management group employees with a raise to bring their pay in line with similar positions at comparable institutions or to retain an employee who might otherwise leave for better pay. The system has proposed the same $750 payments and base salary increases of 2 percent to unionized employees. Those agreements are awaiting union ratification. The system’s 550 unrepresented salaried and hourly employees, including part-time faculty and law school professors, among others, also would get the same raise, but theirs will be automatic, not discretionary, according to the system.